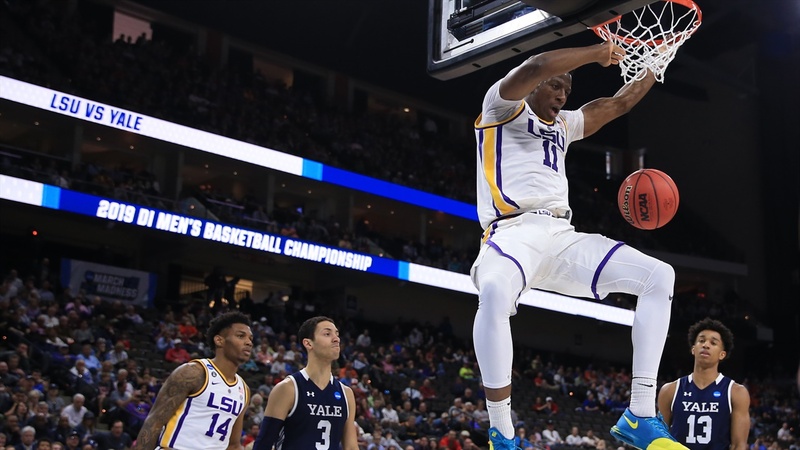 LSU’s three most respected players delivered their normal production against Yale in a first-round NCAA tournament game at VyStar Veterans Memorial Arena in Jacksonville (Fla.) on Thursday afternoon. Skylar Mays, the veteran leader, scored a team-high 19 points. Tremont Waters, the floor general in the absence of head coach Will Wade, contributed 15 points and a game-high seven assists. Naz Reid, who is rated one of the top ten NBA prospects in March Madness, accounted for 14 points and 10 rebounds.